With the advent of new technologies like Voice over IP (VoIP) systems of communications, various industries are going through transformations these days. By realizing the numerous advantages VoIP phones have over the traditional voice communication systems, more and more businesses are benefiting by making the switch. With a continuously expanding range of VoIP providers and appealing packages, there are many different types of plans to choose from. 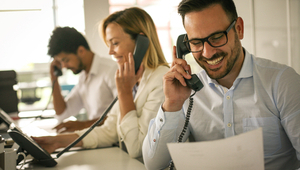 If you’re struggling with this kind of decision yourself, here are the top VoIP features you should have in mind when picking a great business VoIP service. We’re all juggling a hectic schedule and multiple tasks, so being dynamic and mobile is more important than ever. The Find Me – Follow Me feature allows you to take calls from various locations, without giving out a long list of contact details to all your business partners. Say you want people to call you primarily on your office phone. If you don’t answer within two rings, it can loop in your mobile phone. If you still don’t pick up, to have the call redirected to your home phone. This is one of the most important VoIP features to look for when getting VoIP for small businesses because you don’t want to miss important calls from clients, your boss, or anyone else relying on you. Many VoIP providers offer this feature, such as Vonage and RingCentral. Also known as Interactive Voice Response (IVR), the auto attendant allows you to record a welcoming greeting. It also includes a menu with options to reach different departments within your company. This feature does not replace the need for a receptionist, but it certainly adds a note of professionalism, boosting your business’s credibility, while also improving efficiency. It might not seem much, but this is one of the great business VoIP features. Studies have shown that a third of the callers will hang up when put on a silent hold. You wouldn’t want to miss out on such an overwhelming amount of leads for your business. Besides keeping your callers entertained, it gives you the right place-holder for advertisements and important business messages. You can implement this feature with VoIP providers like Ooma. Businesses have gone global. They have customers, partners, and employees all over the world. Employees from branches located in different cities and even different countries work together. 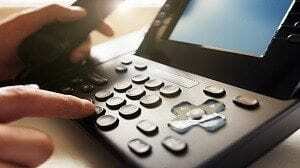 VoIP providers have the perfect solution for this. The audio and video conferencing feature facilitates communication, while also cutting travel costs, saving time and making things much easier. No need to hop on a plane and spend money on hotel rooms for a brainstorming session. Now, you can just set up a conference call and participants from different corners of the world can join in. Want to hire new staff for your branch on a different continent? You can always use the video conference call and you will feel like being in the same room. Are you worried about not always having a pen and piece of paper handy when you need it? Now you have a great alternative. You can let these calls go straight to voicemail. Messages will be sent to your email in an .mp3 format so that you can listen when you have the time for it. Moreover, you can always go back and recover all the details in case you feel like you missed something. Among its many VoIP features, 8×8 offers voicemail to email as well. All voicemail messages are there for you to review until you decide to remove them from your inbox. Do you find that a lot of your or your receptionist’s time is spent answering unwanted calls? Now you don’t have to worry about that. Most VoIP phone systems available come with a call screening feature that will allow you to sort out calls before answering. Just look at the caller’s ID and decide what to do about that call. For a private call, you might want to redirect it to your mobile phone. If that office supplies provider is calling again to convince you to try out their new products, you can disconnect the call altogether. If you prefer that one of your employees will take the call, you can easily redirect the call to the respective employee’s extension. With Onsip, you can get call screening to maximize your efficiency. This usually comes with two options: barge and whisper. On whisper mode, you can just listen to the call between your employee and a customer, and assess in real time how the new employee responds to the customer. You can always switch to barge mode if you want to give your employee tips and prompts without interrupting the call. This is especially important when your employees are dealing with customers on a regular basis and you want to offer a high level of customer support. This is an important feature to look for when getting VoIP for small businesses. It allows you to monitor data usage, know what’s going on within your company, and optimize for cost efficiency. A bandwidth utilization report gives you an overview of all the details regarding the call history within your company, rates, calls duration, and costs. 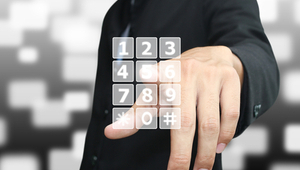 Speed dialing is one of the basic VoIP features that many providers offer. Once you have implemented the new communications system, you can train your employees to make the setting and have all the frequently called numbers registered in the speed dial phone book. It saves the time spent looking up numbers, this way increasing efficiency and avoiding human errors. Redial definitely comes in handy when you are in the middle of a conference and the call gets disconnected. This is another one of the great VoIP features that allow the integration between different systems such as a CRM (customer relationship management) system, an inventory database, or a sales cycle system. Data from different sources is used so that when taking the call, your employees can have all information regarding the respective customer on their computer screen, right in front of their eyes. This way, your sales agents are bound to close deals in a shorter span of time, and customer support agents can deal with callers’ issues and requests in a more professional manner. Vonage and RingCentral offer the most integrations, so you can make sure to utilize your data as much as possible. If you’re interested in more reasons why your business should switch to VoIP, check out this article. If you have comments or questions, leave them in the comments!